The construction portal for contractors and builders, production and retail. Always up-to-date with the most significant innovations from the producers and news from the regulators, the portal goes deep into detail on the performance and competitiveness of new products and building techniques. A number of thematic focuses provide critical information and insightful analysis on the hottest topics in matter of regulation, safety, sustainability, building technology. 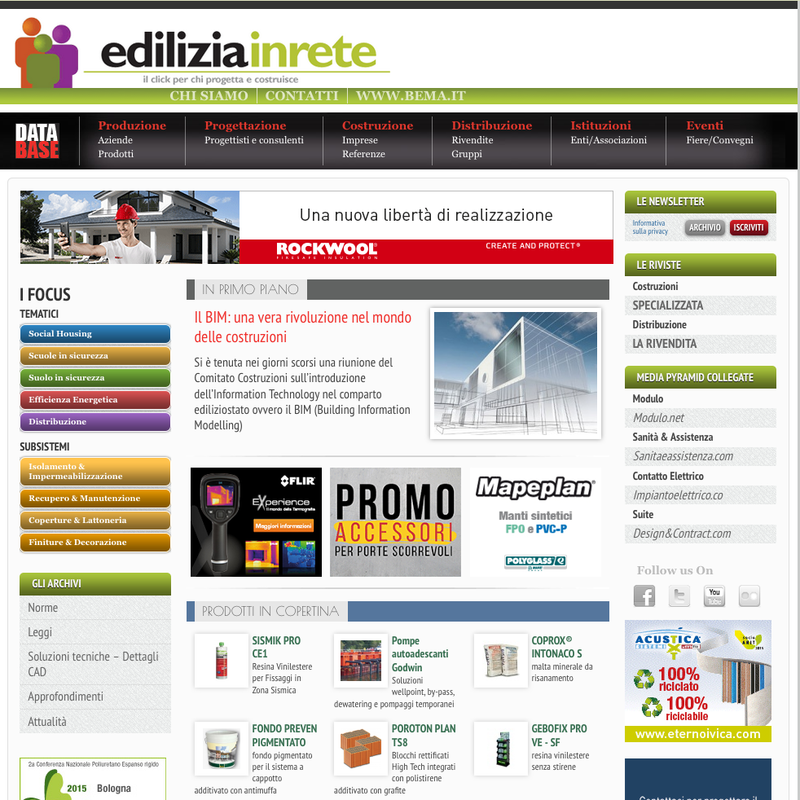 Ediliziainrete.it is a responsive and optimized website. Content is the heart and soul of our editorial strategy “Content is king”, which is reflected in a set of easily accessible and highly qualified databases. ** Size and position refer to the typical layout on our websites. However, all standard IAB layouts may be used, as the websites are fully responsive. 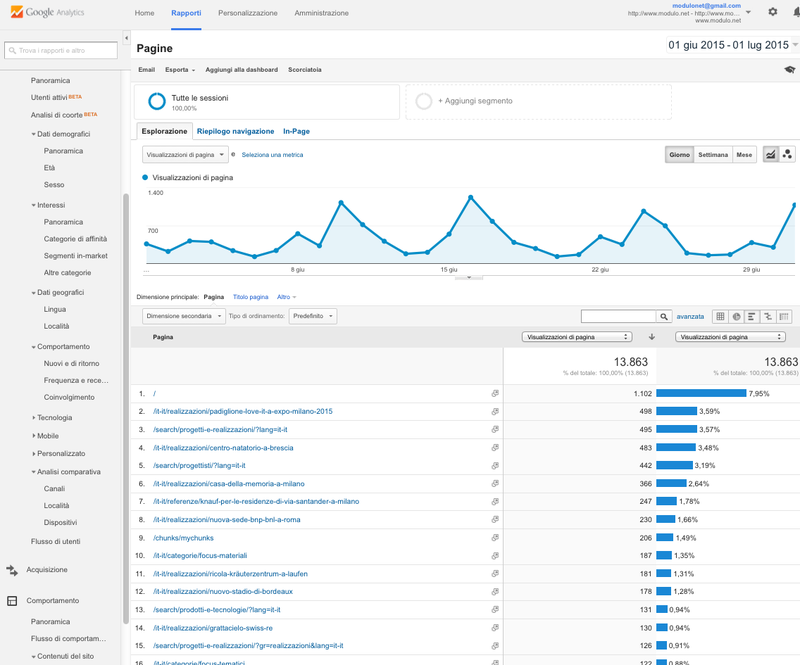 Google Analytics is fully integrated with the website, which is constantly monitored. A monthly report on views and unique users is available to all advertisers.